Treebones Resort sits on a cliff eight hundred feet above the edge of the Pacific Ocean in Big Sur, and is the well celebrated choice for a unique and romantic "Glamping" destination. Just twenty five miles north of Hearst Castle, the Treebones Resort caters to the couple that wants to leave the world behind for a few days. When you first arrive, you will quickly understand that this is a perfectly tranquil and private setting, perched on the cliffs in a way that provides panoramic views and that exudes a romantic feel at every turn. This is where you can very quickly let everything fall away ... no cares, no responsibilities just the two of you! Ten years ago the Handy family had a vision of what might be possible on this rugged stretch of the California coast, and after five years of fighting the bureaucratic process, construction began on the ten acre site in 2004. The initial idea was to build a resort in this prime spot in a way that didn't "Insult" the character and history of the land. Yurts have become more and more familiar to travelers in recent year, and it seemed to the Handy family to be the obvious choice. Megan, Michael, Lucas, and Camille Handy joined their parents here, and helped to maintain the "Keep it simple" attitude that the family wanted to preserve as the resort was being built. The name Treebones was chosen for the resort after the locals tendency to refer to this plot of land prior to construction, as "Treebones land." 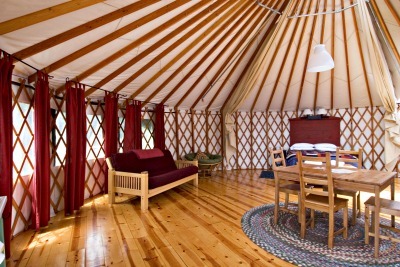 Today there are sixteen yurts of different sizes ... all larger, warmer, cozier, and more unique than you might imagine. 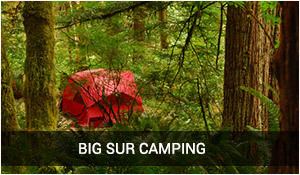 There are also five camping sites that dot the hillside if you prefer a tent to a yurt. For those who really want to get cozy, enjoy their privacy, and have a no where else kind unique experience, inquire about the "Nest." 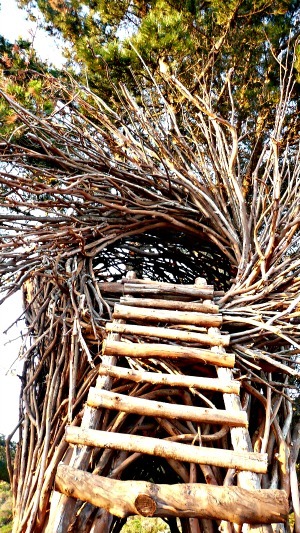 The nest is made from sticks gathered on the property and is elevated off the land for the best possible views. There is only one Nest, and you will want to stay here a couple of days to fully capture the allure of the Pacific Ocean. Something happens here if you stay long enough as the essence of Big Sur and what it means to be part of this natural setting gets under your skin. You climb a short ladder to your nest in the sky and to a very comfortable space to sleep. 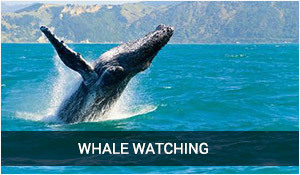 Views of the ocean are incredible and you feel like, well ... a very comfortable and cozy bird. 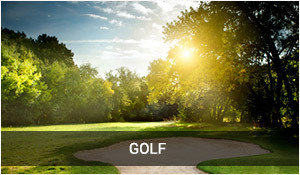 Don't look for the "Nest" on the online reservation page. You will need to call to reserve. The same is true for the "Treehouse" where you cross a swinging bridge to your private front door. You can bet that you will have plenty of shared stories about your experience in the "Nest" or in the "Treehouse" when you finally return to civilization. 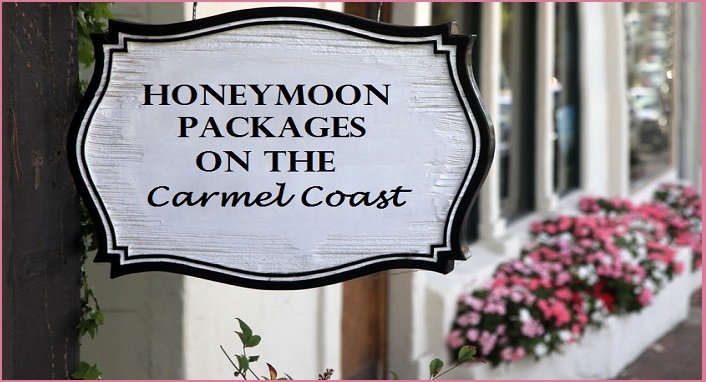 Consider one of these destinations as a romantic birthday suprise or an anniversary getaway for that person you love to spend time with. I promise ... this romantic stay won't be forgotten. On that long list of places you have stayed, this one will be always remembered. 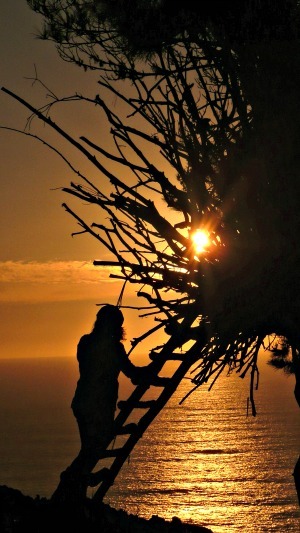 When you reserve the nest you will be treated to a very private site on the very edge of a cliff with totally unobstructed views of the setting sun. Bring a bottle of your favorite beverage and bring some sushi from the famous Treebones Resort sushi bar, and be prepared for a truly memorable and romantic evening. 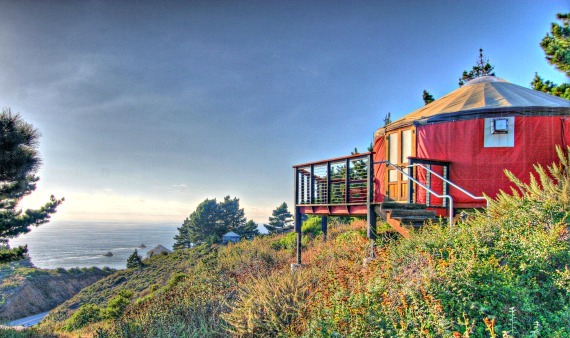 If you plan on staying in a traditional yurt, ask for #3,#10 or #16 for greatere privacy and views. There is running water in each of the yurts, a heater and some even have fireplaces. 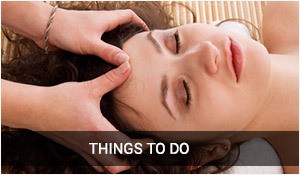 You can expect to pay a very pretty penny for this experience, but it is well worth the expense. Larger yurts are about $300 a night and campsites are right around $88 a night ... but the shooting stars and sounds of crashing waves are available at no additional cost. "It's Only A Short Climb"
Yurts are ancient Mongolian circular tents with wooden lattice uprights that give the structure strength they need to withstand a wide variety of climates. Surprisingly large, yurts have thirteen foot ceilings with views out the top of your yurt that will fill the night skies with more stars than you have ever seen. Choose the Sibley yurt for privacy and an unobstructed view all to yourself. What a suprise when you wake in the morning next, and take a gander at the view just outside your front door. There is a modern heated pool at the Treebones Resort and a long list of activities that will help you to best experience the wonders of this amazing coastline. Showers and bathrooms are in the central building so there is a lighted path at night to help you get from place to place after hours. Ocean Air Makes You Hungry ... So How About Lunch On The Deck! The Wild Coast Restaurant and Sushi Bar is part of the Treebones Resort and is an expensive and outrageously interesting place to have lunch or dinner. 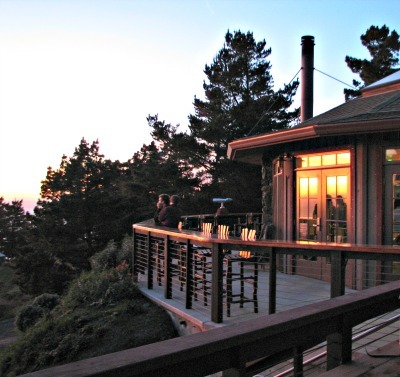 The restaurant is complete with a thirty foot redwood bar that sports an unobstructed view down the cliffs of the Pacific Ocean. Food is organically grown and sourced from local vendors. Chef Tim Hrusa showcases an eclectic and creative menu and brings thirty years of Monterey Peninsula cooking experience to the Wild Coast Restaurant and to hundreds of happy diners. Chef Carlos-san thrills guests with his wonderful sushi. Try the Crunchy Tiger roll for $18 or for lunch, enjoy the Wild Coast Burger for $18 as well. 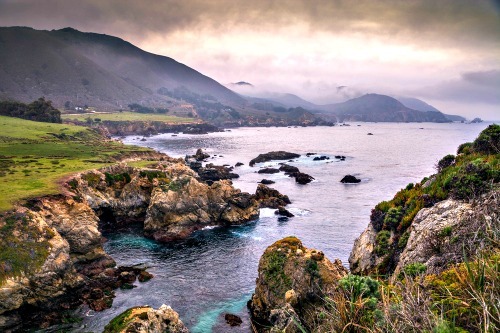 Yes, prices are stiff, but remember anywhere you stop on the Big Sur Coast is going to br pricey. After all, your many miles away from any significant gathering of other humans. 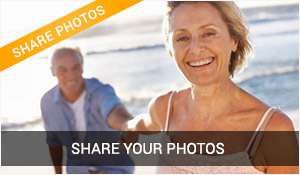 Be sure to ask at the Treebones Resort's front desk for their list of local hiking trails. There are also guided hikes in small groups that take you to little known beaches, historic buildings and a hundred foot high waterfall. 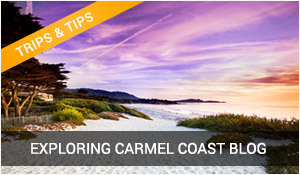 More local hiking on Big Sur's beaches and in the redwoods are not far away if you know where to go. Some of the ancient redwood trees on these hikes are hundreds of years old and existed here when migrating whales were their only company. 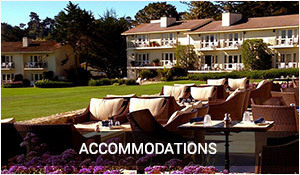 If your traveling north, Treebones Resort can be found twenty five miles north of San Simeon and Hearst Castle. 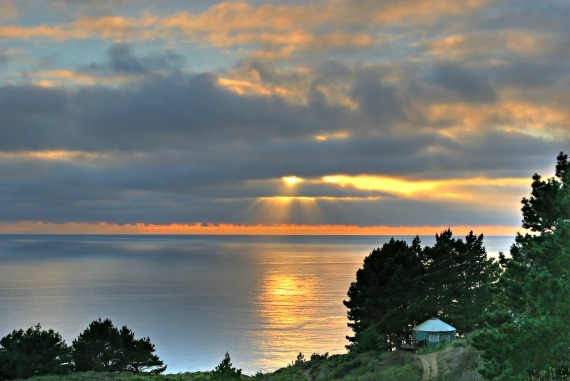 Travelers going south will find Treebones Resort about thirty miles south of Big Sur and Julia Pfeiffer Burns State Park. 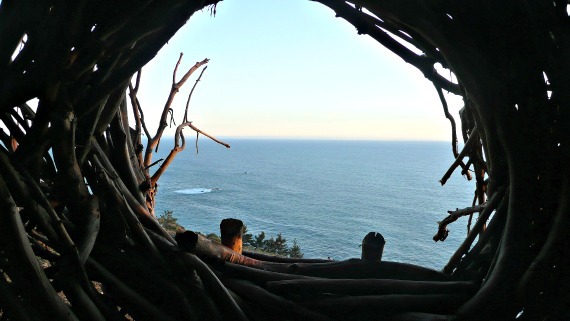 You can stay at more expensive resorts in Big Sur and enjoy much of the same wild coast scenery that seems to be everwhere on this coast, but somwhow the Treebones Resort allows you to be part of it ... and not be just a by stander. Perhaps that why this place is so popular. Isn't that anniversary coming up soon?